TD Pre-Insulated Aluminium Duct is a sandwich panel composed of a layer based from good fire retardant rigid polyisocyanurate foam covering both sides with aluminium foil. 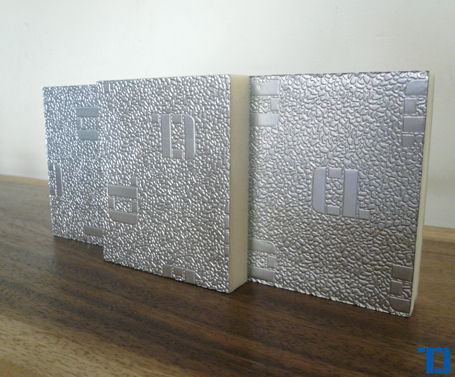 The aluminium foil is specially coated with anti-bacterial coating and guarantees sturdiness and withstands corrosion. 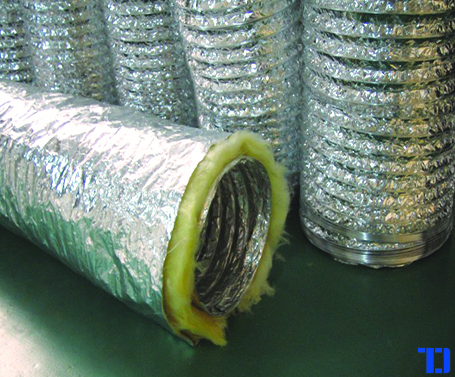 TD Flexible Duct is an fire resistant alumunium flexible duct for air conditioning system that uses an alumunium core with rust proof steel wire insulated with high quality glass-wool 32-16 Kg/m3 and covered by a strong double layer of glass-cloth and alumunium fire resistant sleeve.